OPEN CALL: Seeking people with stories to share through film. It's easy; get your camera or smartphone, click record, tell your story in 5 minutes or less, and submit it to our program. No prior experience needed! We want everyone to have the opportunity to tell their story and share it on the big screen to share with the community. Anyone can participate in this competition. There is no fee to submit. Judges will vote for the four finalists, then public online voting begins 1 week prior to event. Winner will be announced during this event. Light dinner will be provided. 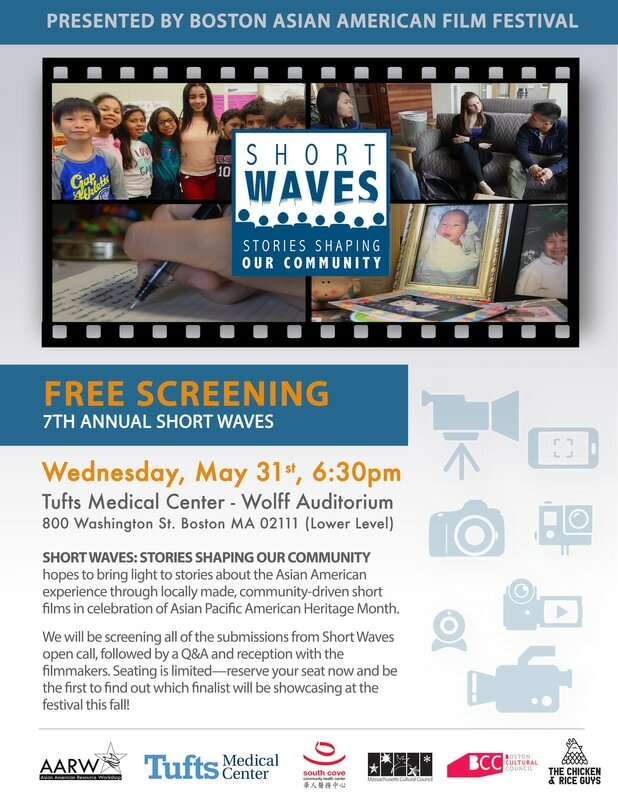 This film speaks volumes about the harmful impact of stereotypes on the conversation surrounding Asian-American mental health. Director Amanda Huang uses personal narrative to bring this issue to light and expand this conversation.